Kansas City has had the most perfect weather the last few days. The sunshine has been shining and the temps have felt perfect for Fall. It's time to start thinking about taking your favorite Summer pieces and working them into your fall wardrobe. 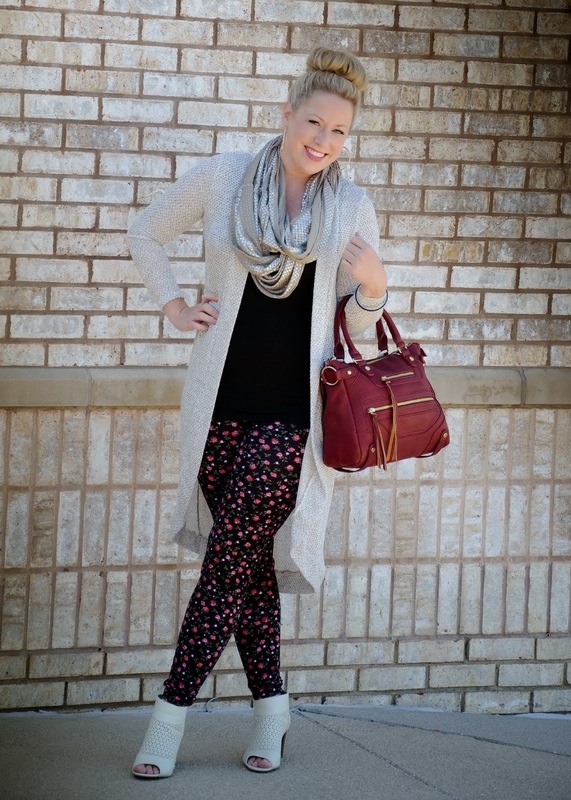 Printed leggings have been a huge trend this Summer and I plan on working them into my Fall wardrobe seamlessly. 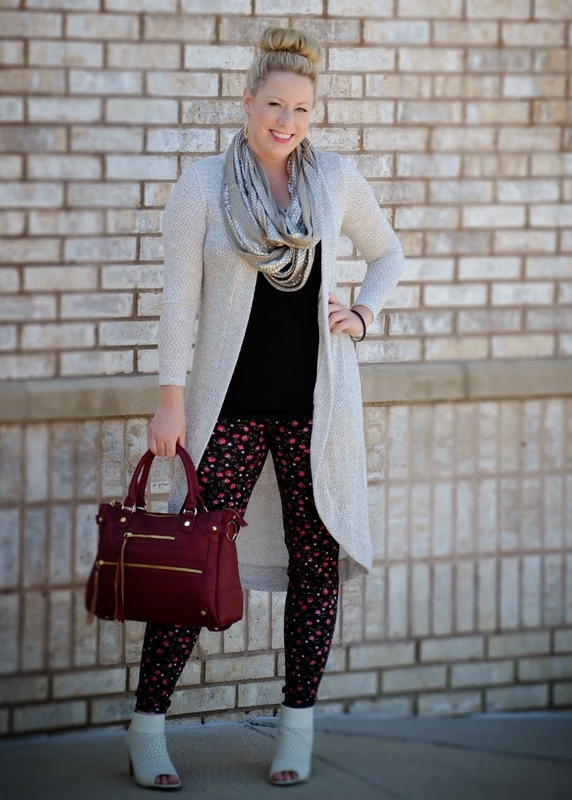 The great thing about leggings is that they are perfect for booties or boots! Summer was all about sandals, printed leggings, and my favorite straw hat. 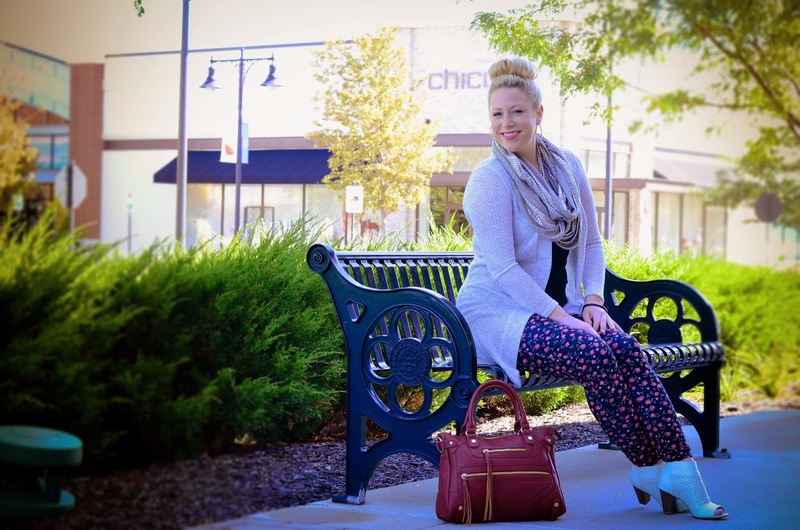 Turning this outfit into a Fall go-to look just took a few key layering pieces and a switch of my accessories. A great color to incorporate into your fall wardrobe is a deep wine color, like this satchel bag. I fell in love with this long sweater as soon as I saw it! It's perfect for Fall because it's thin enough to layer without being bulky and I adore the length! I can't wait to pair this with jeans and boots as soon as it gets a little cooler. One fall must have accessory is the infinity scarf because it's the perfect accessory to pair with sweaters and jackets. 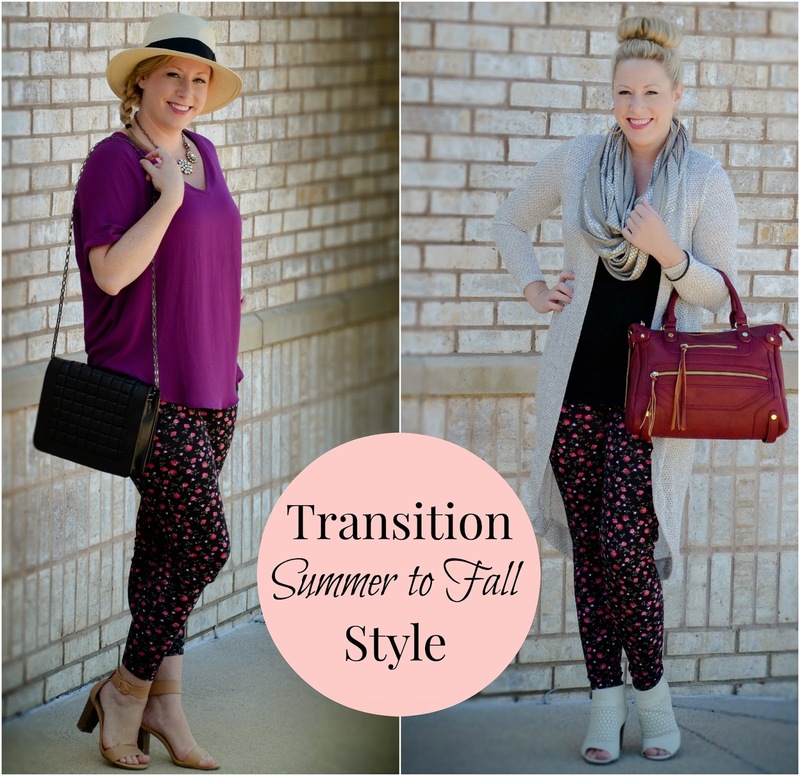 Do you need some help transitioning your summer wardrobe into Fall? I can help with that! Don't forget when you shop at Summit Fair during the month of September every $250 spent at any combination of stores you can enter to win $500!!! You are too cute. Yay for that nifty new services tab ;) Get it girl! Love these looks Jana!! I just pinned the bag from Charming Charlie in olive! So cute! These looks are great! i love the things you are doing with your blog, jana! miss u!! I love the way you styled these two outfits - so cute! You have my wheels turning on what I can transition from one season to the next and how to do it - thank you!